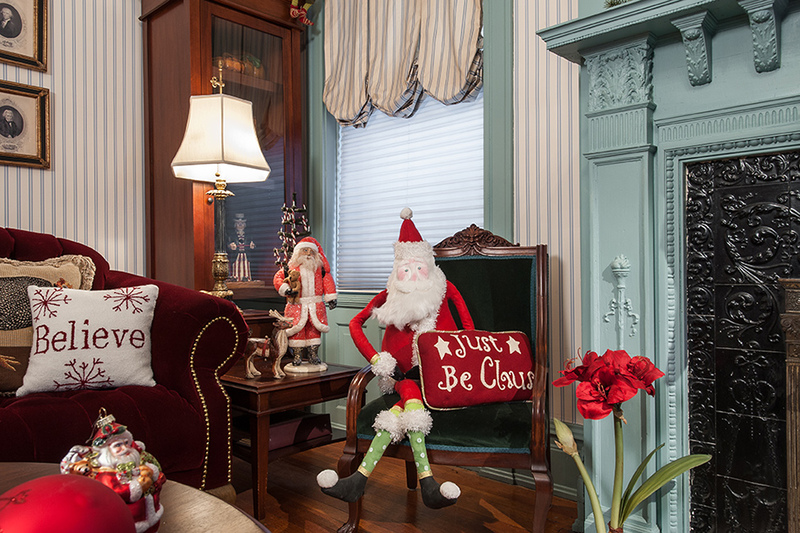 Jolly Old St. Nick is the star in Jim Heeter's CWE parlor room. Sliding open the original pocket doors leading into the parlor of his 1894 Central West End home, Jim Heeter, owner of the Gifted Gardener, unveils his spectacular homage to the man in the red suit, Santa Claus. Heeter’s love affair with St. Nick goes all the way back to his college days in Springfield, MO, when he was called to fill in for Santa at Sears. What was supposed to be a one-night thing turned into a two-year gig, but it taught Heeter so much about the spirit of the holiday season, which he incorporates into his decorating. 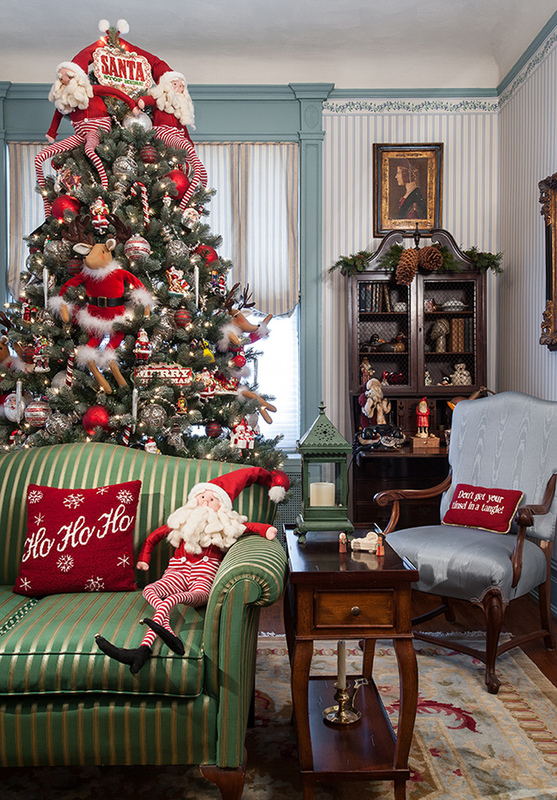 Other favorite items in the space include his great aunt’s silk striped settee adorned with clever-worded pillows, a bronze bust of Santa checking his list with a feather quill and Heeter’s favorite, a large Bethany Lowe Santa carrying a tree with miniature candles. And, of course, Heeter always proudly displays his Santa hat from his years of helping out St. Nick at Sears. He keeps the décor fresh by rotating pieces each year, and he only adds a new item if it truly catches his eye. What impressive restraint for the shop owner who sees thousands of new items each year at market! 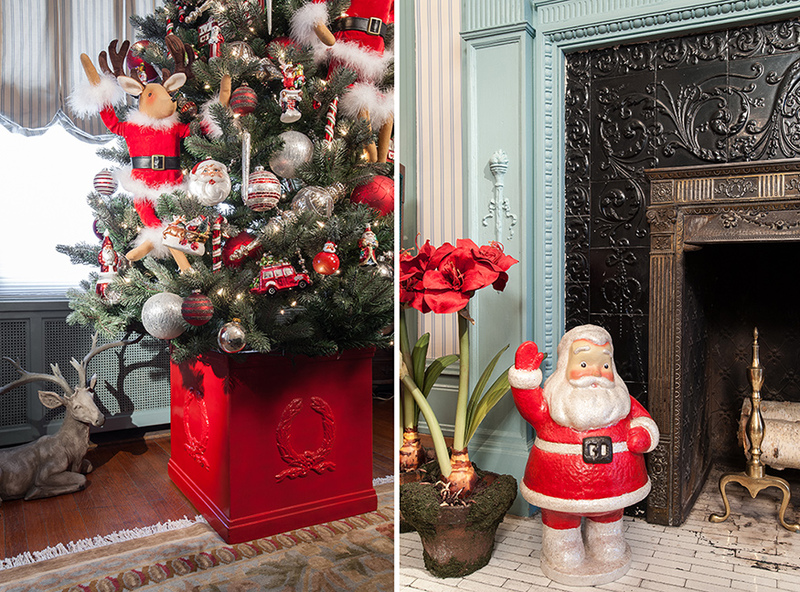 Equipped with memories of his father, who taught him to invite imagination into the home at Christmas, as well as visions of the magical displays in the old department store windows, Jim Heeter’s parlor room not only celebrates the man in the red suit but also the true spirit of the holiday season. “I find that with our memories we make traditions, and with inspiration those memories can last forever,” he says.